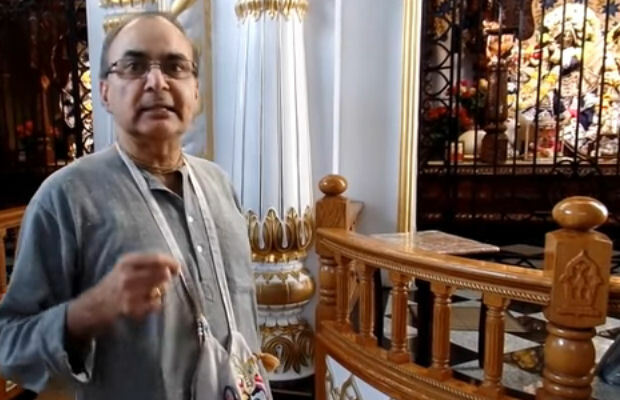 A Video from a York University Student Project ~ The Toronto Hare Krishna Temple! Back in September, the temple was contacted by an enthusiastic student from York University named Gurpreet for the purpose of a school project. Gurpreet is a fourth year at York University and was working on a project about Hare Krishna culture and influence on modern day society. Gurpreet asked if an interview could be arranged with someone from our temple. We contacted one of our stalwart leaders of our community, Rupanuga prabhu, and he happily obliged. 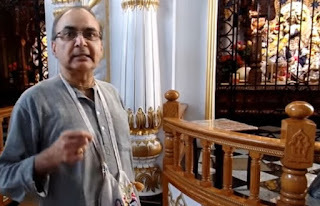 A few Sundays ago, Gurpreet came to the temple and met with Rupanuga prabhu. We are happy to report that Gurpreet received very positive remarks for the finished project. Check out the resulting video below (the sound is a little poor for the first few minutes, but improves after the 7:20 mark). Great job, Gurpreet!